Lot 162: Edwin Dickinson o/c "Bulkhead Brace"
You are here: Home >> 2017 01 21 Auction - Knoxville, TN >> Lot 162: Edwin Dickinson o/c "Bulkhead Brace"
Edwin Walter Dickinson (New York/California/Massachusetts,1891-1978) oil on canvas painting titled "Bulkhead Brace". 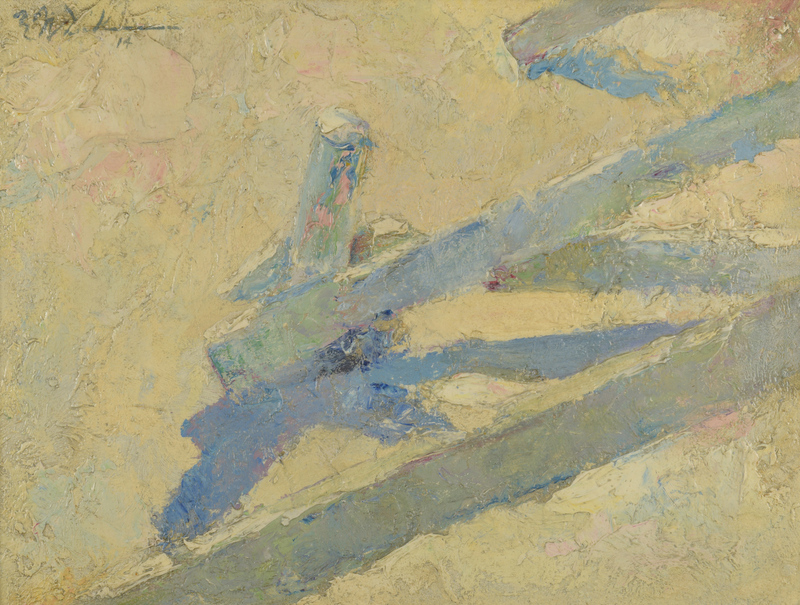 Object study with contrasting light and shadow, rendered in pale shades of blue, green, purple, and pink against a washed white background. Signed and dated "14", top left. 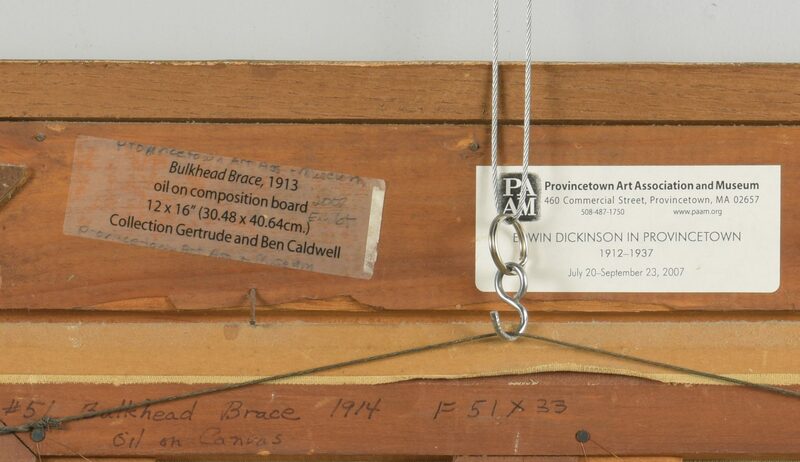 Exhibited, "Edwin Dickinson in Provincetown: 1912-1937," Provincetown Art Association and Museum, 2007 (exhibition labels, en verso). Note: This painting is listed as Number 19 in the Edwin Dickinson Catalogue Raisonne by Helen Dickinson Baldwin. 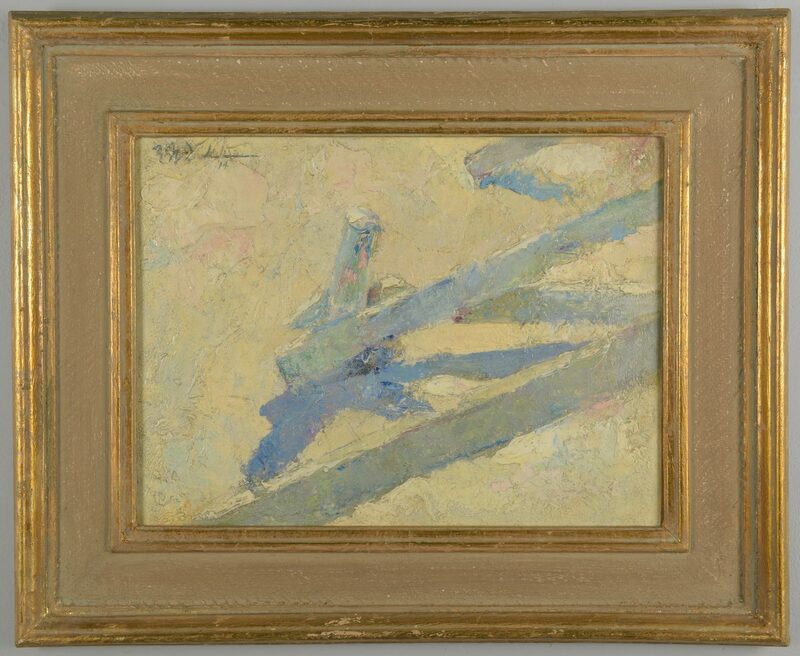 According to Dickinson estate representative Mark Green, in Dickinson's journal, he noted that this is the first painting he ever signed. Sight – 11 1/2" H x 15 5/8" W. Housed in an Italian Cassetta style frame, 18 7/8" H x 23" W. Biography: Edwin Dickinson studied at the Art Students League in New York City with William Merritt Chase, and in Provincetown with Charles Hawthorne. 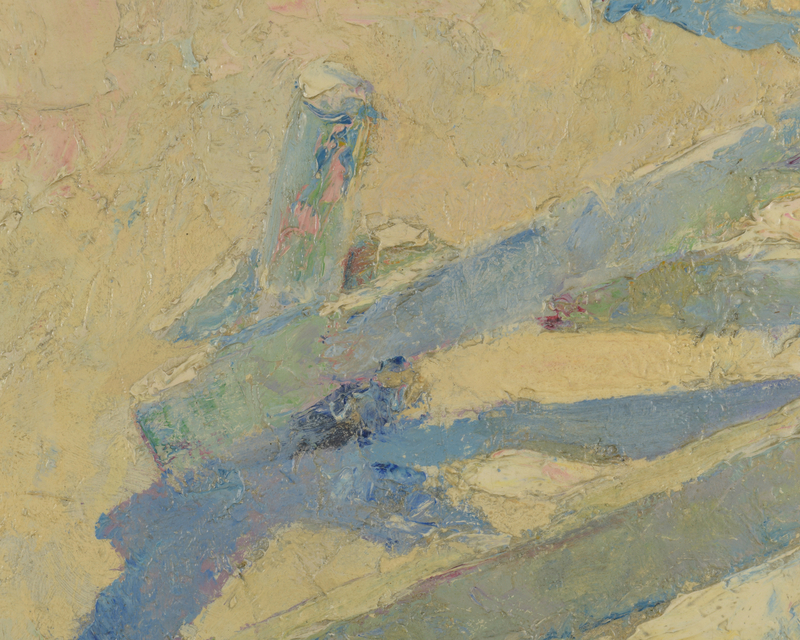 Much of his career was divided between Provincetown, where he helped found what is now known as the Provincetown Art Association and Museum, and New York City, where he eventually taught at the Art Students League. 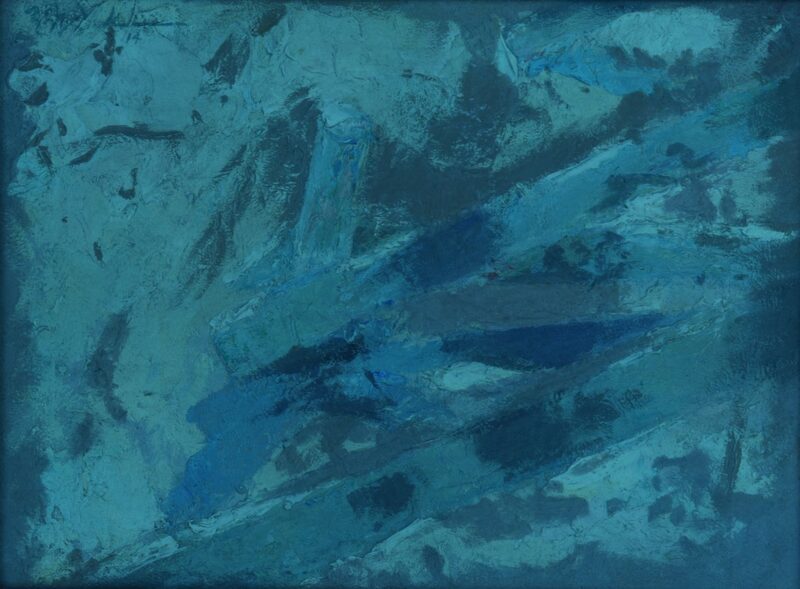 His works are represented in many major American institutional collections. Provenance: The living estate of Dr. and Mrs. Benjamin H. Caldwell, Nashville, TN, acquired from the family of Helen Dickinson Baldwin. CONDITION: Overall excellent condition. 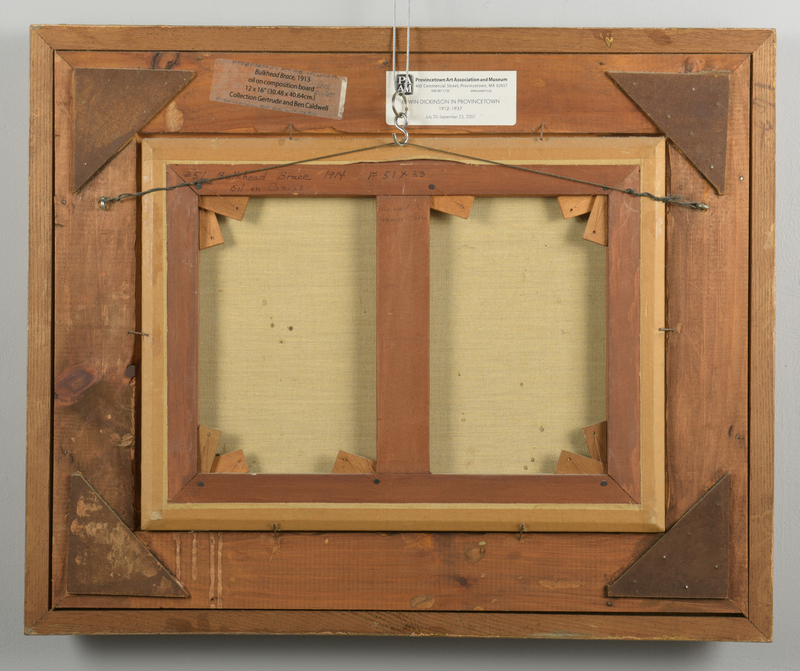 Canvas stretcher loose in frame. 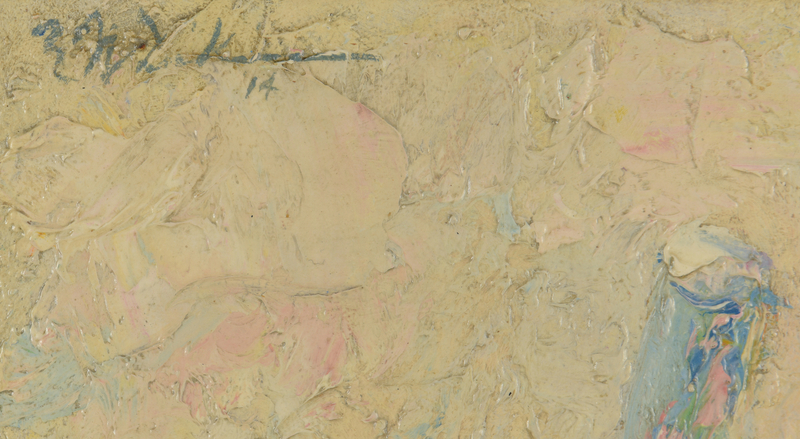 Pencil notation en verso indicates that the painting was restored by Francis Moro, formerly a partner at Paul Moro Inc. Art Restorations, New York.